More 9P & stripe…26.5 hours into it…y’all are going to get tired of seeing this one. I’m not sure I am making all the right design choices…but, this is a learning project for me. A project to expand my skills and challenge myself, so I’m ok with that. For example, I’m not sure the large size setting triangle feather is working that well, but even so, I’ll probably just go forward with it. I’m having fun! That scroll-y design is a Karen McTavish stencil. The setting blocks are stencils, as well, but I forgot to see who from. I’ll get that later, for anyone interested. I’m at work now, but remembered that I forgot to mention that. I really, really like it! I like that scrolly border you put on the tan before the feathers – and your feathers are gorgeous also. it’s looking beautiful Randi! Looks like it’s all working together to me. I love it! I hope I can do 1/10th of this one day. It’s looking great Randi. Thanks for sharing. 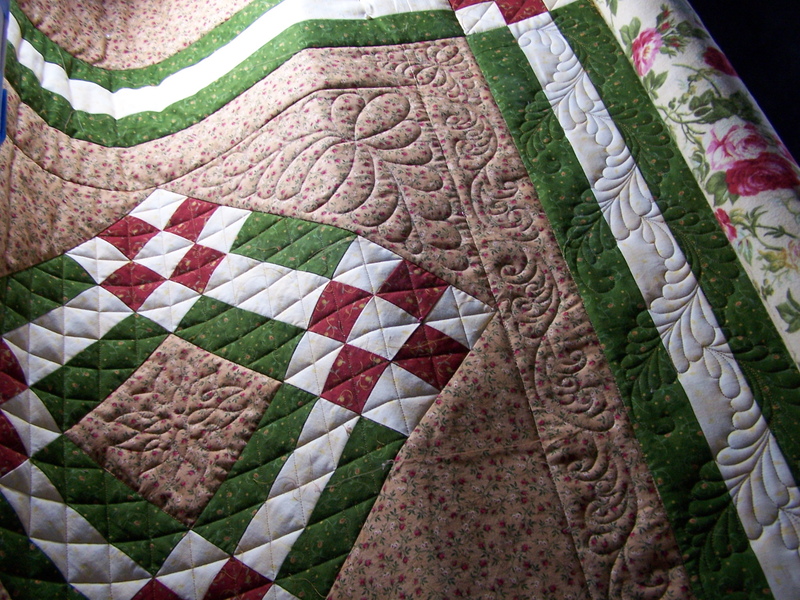 I really like the feathers in the green/white border. Could never get tired of seeing your beautiful work. 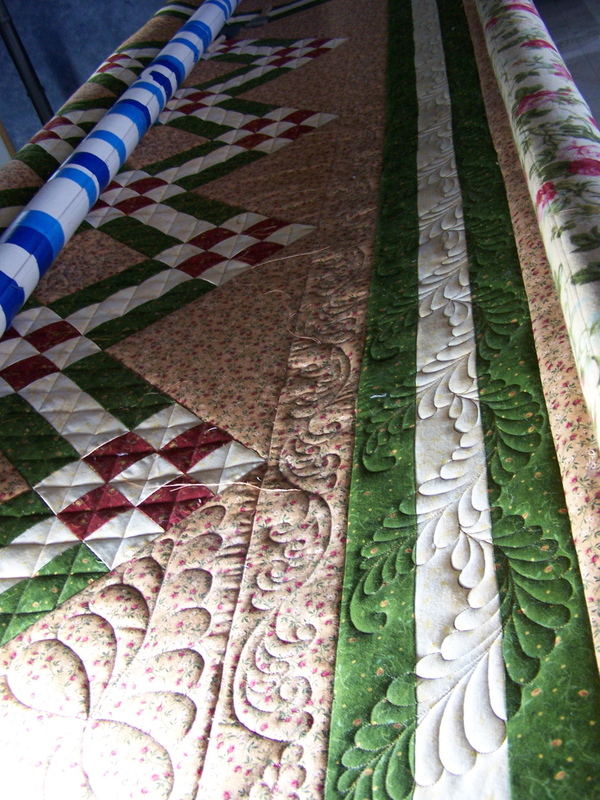 Beautiful quilting – love the borders! Not even close to being tired of looking at it! Wonderful! You’re an inspiration! 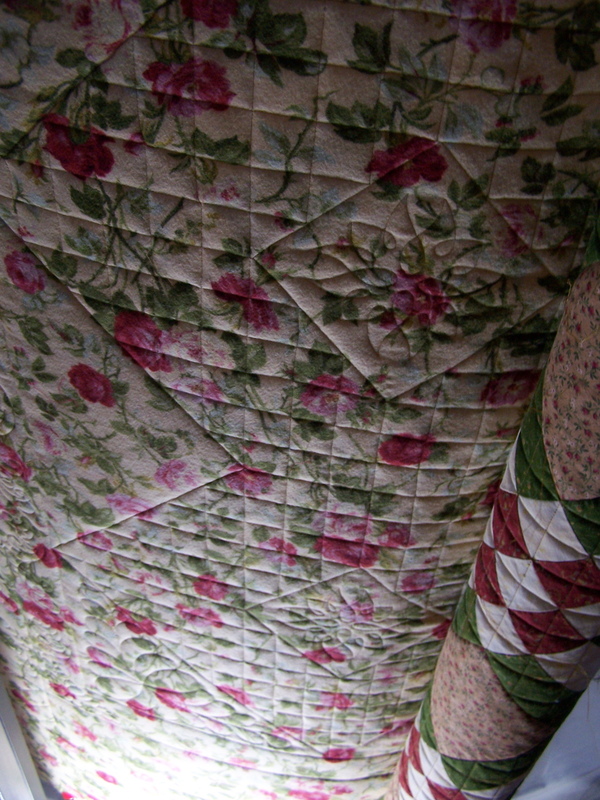 I NEVER tire of seeing your exquisite quilting. With every stitch, you turn the ordinary into the extraordinary! 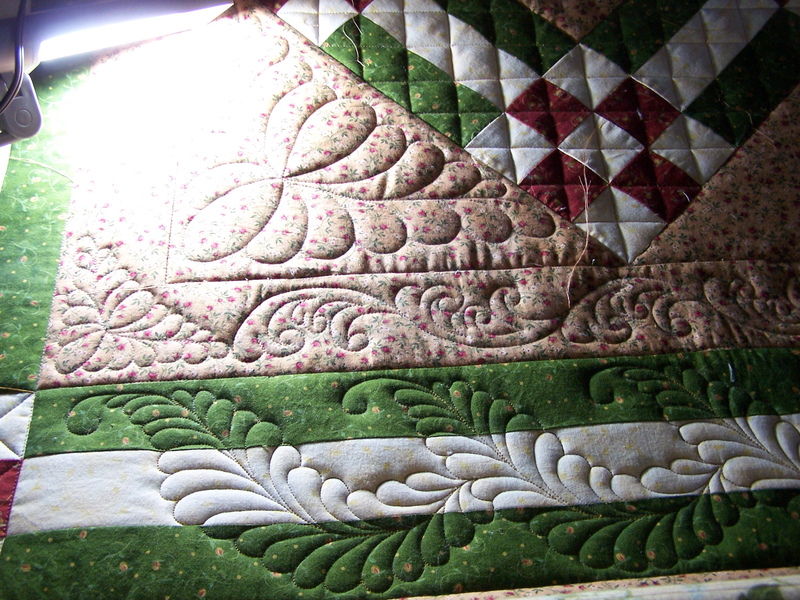 Gorgeous quilting, Randi! I wish I would get something more exciting than t-shirts from clients — that’s about all I’ve seen lately. 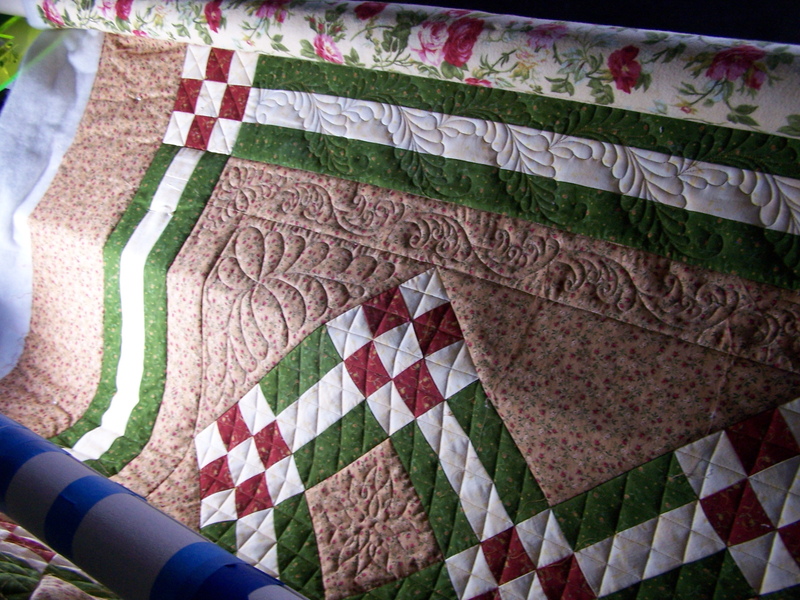 Guess I’ll have to make time to quilt one of my own! Doubt I shall be bored ….just love it.